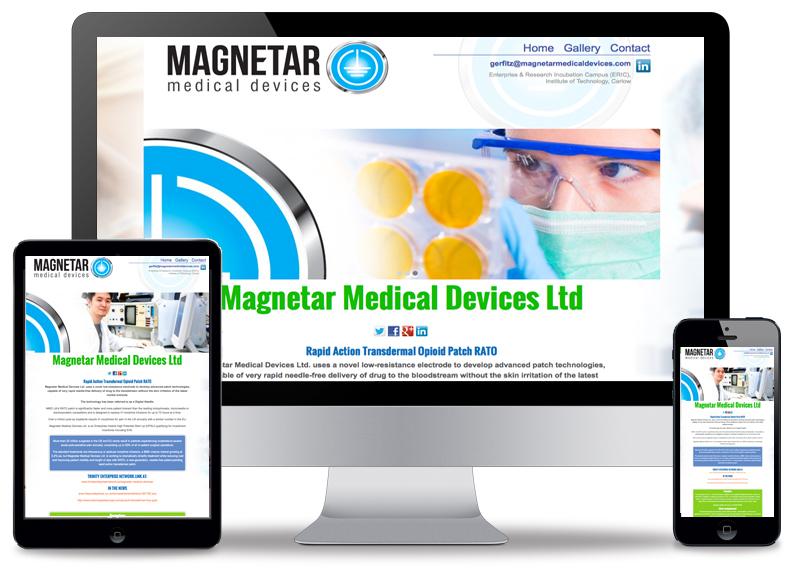 Magnetar Medical Devices, based in Carlow, tasked Sixmile Design to design their branding which consisted of a logo design and website. The website is built in WordPress and features a responsive design which means the client is able to update the website themselves. The design is just a three page site so was built very quickly and was a redesign of an existing site the client had up. A small one to three page website like this one is known as a Micro Site and has a few advantages. The mains ones being quick to put together and deploy while being cheaper than your typical 7-8 page site.